Retrieves complete data – graphics, formatted texts, logos, images, etc. I just managed to recover my important work that was ruined up by the serious corruption. The quick and smart software saved my essential time and effort. I really liked the interface and its operations. My warm gratitude to the software team. The Kernel software recovered all my crucial data safely without any glitches. After repairing the ODG files, I have viewed all my data files and found out that presentations files were intact as it is. The software is truly reliable and life saver. The application is engrafted with the facility of selecting multiple corrupt ODG files for repairing process. This remarkable feature drastically saves time and enhances performance of the Kernel for Draw software. Repairing your inaccessible ODG files is absolutely simple and effortless, using this tool. The recovery can be achieved in three simple steps - load the corrupt file, specify saving location and restore the recovered files. 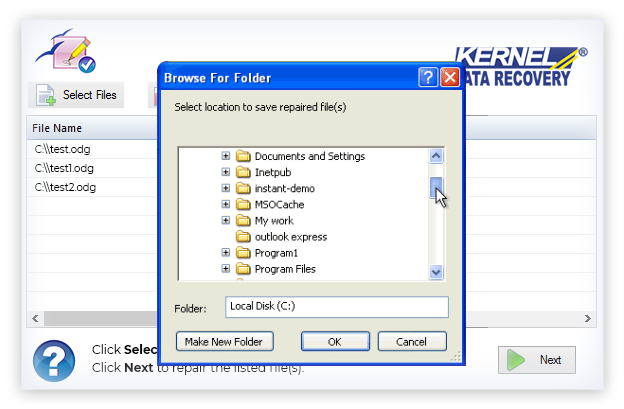 The Kernel for Draw Recovery is developed to support the entire editions of OpenOffice applications. The software is easy-to-use as it can easily be deployed on any version of Windows operating system. 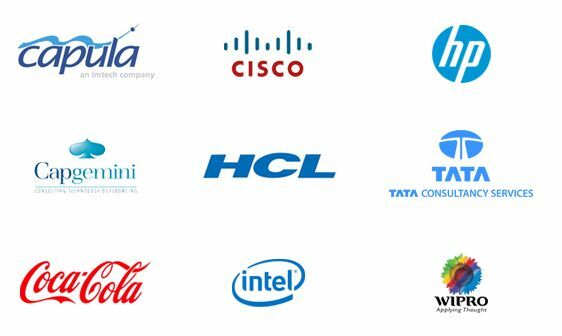 The processing of smartly engineered algorithms guarantees the recovery of graphics, formatted texts, logos, images, etc. from the corrupt ODG files. SelectIn this step, select and add corrupt ODG files for recovery procedure. BrowseIn this step, browse and specify the location to save recovered ODG files. SaveThe final window displays link that points the location of saved recovered ODG files. What kinds of errors are generally displayed on the computer when any ODG files were corrupted? No script engine for file extension . How to retrieve backup files of ODG created by the OpenOffice using the 'Always create backups' settings? The restoration of backup files from the OpenOffice default location can be done by searching the file having the .BAK extension at the "C:\Documents and Settings\USERNAME\Application Data\OpenOffice.org\user\backup" location. 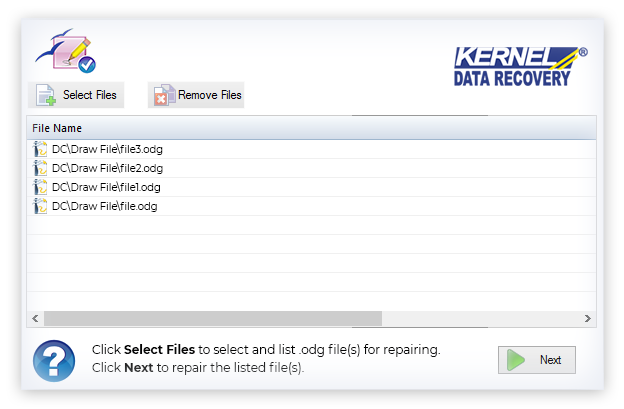 How is Kernel for Draw Recovery is the self-sufficient software to recover badly damaged ODG files? 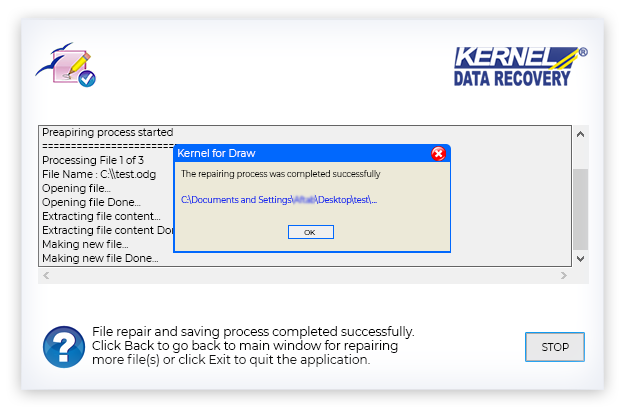 The kernel for Draw Recovery software is built with the capacity to perform intense algorithm processing on the corrupt ODG files using the distinctive scanning techniques that ensures the recovery of every single Draw file from the scratch. The software is very fast and competent in repairing the corrupted Draw files. It can handle any type of error related to the ODG file corruption. You can easily measure its competency by using the free trial version available on our website. After using the free version, the software doesn't leave any doubt of uncertainty on you about the complete recovery of corrupt ODG files. What are the minimum system requirements to install the Kernel for Draw Recovery software on the computer? Complete range of file repair software for OpenOffice software released today. Kernel for Writer which was released before the upcoming range was completed by Kernel for Base, Kernel for Calc, Kernel for Draw, Kernel for Maths and Kernel for Impress. Repair documents created with OpenOffice and recover data from them. Easy to use and install with result oriented data recovery percentage.